Avocado is a versatile, pear-shaped tropical fruit that can be enjoyed in many ways. 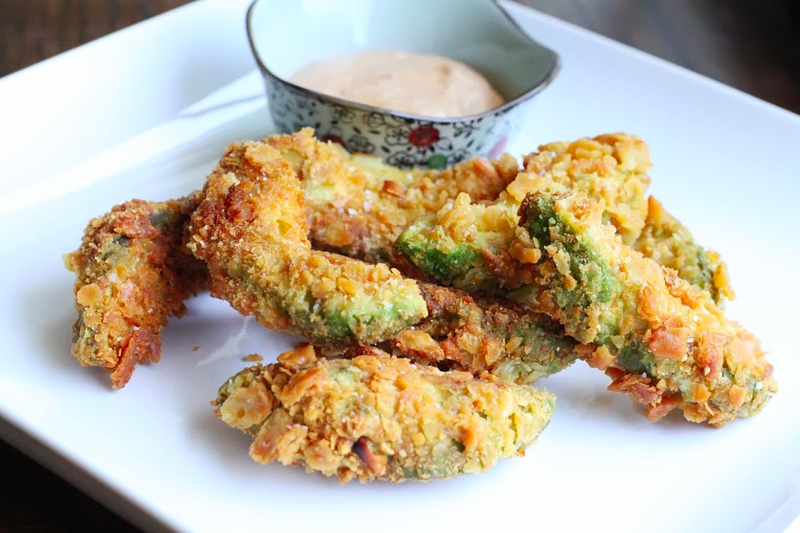 From making them into oven-baked fries to puree them into a creamy milkshake, here are 8 Different Ways To Enjoy Avocados! Potatoes are often synonymous with fries. But if you are bored with the same old potato fries, why not substitute them with avocados instead? All you need to do is slice up one or two avocados, peeled and pitted. Make sure they are cut like the shape of fries. Beat two large eggs in a bowl and another bowl filled with around one-and-a-half of breadcrumbs or store-bought panko. Dip the slices in each of them, layer them with vegetable or canola oil and bake at around 350 to 400 degrees till crispy and golden brown. Most of us are accustomed to plain toast spread with butter and/or kaya (coconut jam) or French toast drizzled with honey. But if you have yet to mix avocados into your toast routine, it’s time to give them a try. You can toast the bread until crisp and golden brown using a toaster or a frying pan on the stovetop. Then, mash the avocado in a bowl with a fork and season them with salt and pepper. Spread the mashed avocado onto the surface of the toast and enjoy! You can even upgrade your avocado toast by adding a drizzle of extra virgin olive oil, a squeeze of lemon or rub them with chopped garlic. Thanks to their naturally dense and creamy texture, avocados are suitable to be made into gelato or ice cream. Grab two ripe avocados and cut them into pieces. Next, add three-quarters of whole milk as well as 1/2 cup sugar along with some lemon zest and juice into a saucepan and bring it to boil for a minute. Once everything is dissolved, pour the mixture into a bowl and let it cool. Add the mixture into a food processor or a blender and puree them altogether with the sliced avocados until smooth. 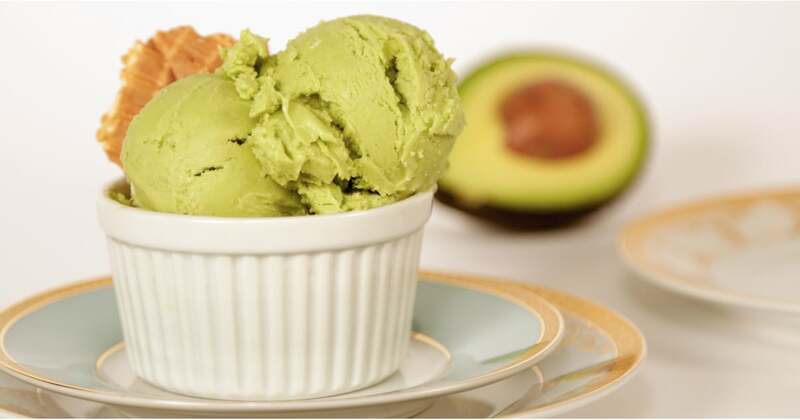 Pour the avocado mixture into an ice cream maker before freezing them in an airtight container until hardened. Vanilla and chocolate milkshake too old-school for you? How about a glass of avocado milkshake for a change? Pit one avocado and cube them. Then, add the cut avocado together with vanilla ice cream, chilled milk, freshly-squeezed lemon juice and around 5-10 cubes of ice into a food processor. Blend well until smooth and creamy. Transfer it to a glass and serve cold. You can also go Indonesian-style a.k.a. es alpukat by adding a cup of cold espresso or brewed coffee for an extra kick. 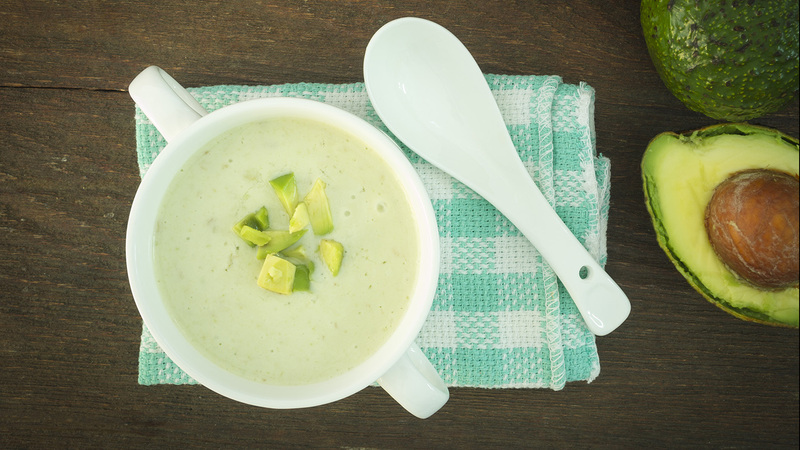 Avocados are creamy, which makes it ideal to blend them into a soup. Add two avocados, pitted and cut into chunky pieces in a blender or food processor. Combine 3 or 4 cups of chicken broth along with 1/4 cup fresh lemon/lime juice and 1/3 cup fresh coriander leaves. Then, add a teaspoon of salt and black pepper and two cups of water. Puree all the mixture until smooth. Transfer the avocado mixture to a bowl, cover it and refrigerate for at least two hours or so until chilled. You can enjoy it on its own or serve with a toast or sour cream. You probably have tried a sour cream with onions or Mexican salsa as a dip for your favourite chips. But have you tasted a chip dipped in creamy avocado? It’s easy to make and here’s how: Mash two avocados with a fork, add plain yogurt (Greek would be a better option since it has a creamier consistency), a pinch of salt, some garlic powder and a squeeze of lime or lemon juice. Stir them altogether until well-combined and happy dipping! If you like to add an extra kick to your creamy avocado dip, you can sprinkle some cayenne pepper as well. You don’t have to settle with the same old scrambled eggs with toast each time you are making a breakfast. Try something different by adding an avocado. The process is simple: Just beat two large eggs in a bowl and add milk along with a pinch of salt and pepper. Whisk the egg mixture with sliced avocado and transfer them to a frying pan. Cook them under low heat and stir until the scrambled eggs are set. You can eat them on its own or serve with your favourite toast. 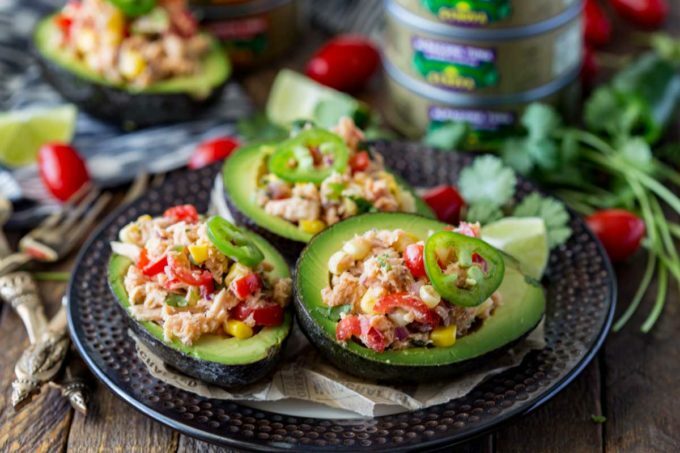 Give your plain avocado a colourful makeover… by stuffing it with various ingredients of your choice! All you need to do is scoop out the middle part of the avocado using a paring knife. Now, let the stuffing begin! You can top the avocados with ingredients like tuna, scrambled eggs, bacon, sausage, tomato and/or cheese. You can even season it with the likes of salt, pepper or coriander to enhance the flavour. Next articleHow Are Typhoons and Hurricanes Named?